The University of Tirana (Albanian: Universiteti i Tiranës) is a public and the largest university in Albania. It was originally established in 1957 as the State University of Tirana through merging of five existing institutes of higher education, the most important of which was the Institute of Sciences, founded in 1947. The main building was planned by Italian architect, Gherardo Bosio at the beginning of 1940. It is situated at the Mother Teresa Square, south of the city center of Tirana. The primary language of instruction is Albanian, but there are a number of faculties of Foreign Languages which are carried out in English, French, Greek, Italian, Spanish, German, Chinese and other languages. The University of Tirana was founded in 1957 as the State University of Tirana (Albanian: Universiteti Shtetëror i Tiranës), through the merging of five existing institutes of higher education, the most important of which was the Institute of Sciences, founded in 1947. Immediately after the death of Enver Hoxha in 1985, the university was renamed the Enver Hoxha University of Tirana (Albanain: Universiteti i Tiranës Enver Hoxha) until 1992. The College of Europe in Bruges, Belgium, was the world’s first institute of postgraduate studies and training in European affairs. It was founded in 1949 by leading European figures such as Salvador de Madariaga, Winston Churchill, Paul Henri Spaak and Alcide de Gasperi in the wake of the first Congress of the European Movement in The Hague in 1948. Their idea was to establish an institute where university graduates from many different countries could study and live together in preparation for careers related to European cooperation and integration that would contribute to solving and preventing cross-border problems. Bruges is a stunning medieval city, only one hour away from Brussels, the capital of Europe. After the fall of communism in Central and Eastern Europe, a second campus was founded at Natolin (Warsaw), Poland. Today, supported by dedicated scholarships, ever year around 450 students join the College from over 50 different countries for a cutting-edge education that combines academic rigour with professional skills training. The College of Europe offers several advanced Master’s degrees related to European Union affairs. The team members participating in the “NATO Debates on Transatlantic Burden Sharing” are students of EU International Relations and Diplomacy Studies and Transatlantic Affairs. Ghent Institute for International Studies (GIIS) is one of the five research units of the Department of Political Science of Ghent University. It is the foremost academic center of education and scholarship in international affairs in Flanders (Belgium). We prepare our students for a wide range of careers, in the private sector and in public service. The Institute's distinctive educational approach emphasizes the marriage between political science and history, since 'History without political science has no fruit, and political science without history has no root' - according to Sir John Seeley, first Regius Professor of Modern History at Cambridge in the nineteenth century. In line with the adagio of Ghent University researchers at GIIS strongly adhere to the principle of critical thinking. A critical approach is therefore the second pillar of our educational approach. New Bulgarian University was established on 18 September 1991 with a resolution by the Bulgarian Parliament. The National Evaluation and Accreditation Agency, which reviews Bulgaria’s higher education teaching, granted NBU maximum accreditation in three consecutive accreditations in 2001, 2006 and 2012. Since 2004, NBU is an accredited partner of the Open University UK. NBU prepares graduates for opportunities in the business and professional world in Human Sciences and Humanities, Natural Sciences and Modern Technologies, and Arts. From its humble beginnings on Ottawa’s First Avenue, Carleton has grown into a dynamic research and teaching institution with a tradition of anticipating and leading change. Today, the university sits on more than 100 acres, on a site between the Rideau River and the Rideau Canal, just a short distance from downtown Ottawa. The university provides an excellent education and experience to its more than 24,000 full- and part-time students at the undergraduate and graduate levels. Its more than 875 academic staff are recognized internationally for their scholarship and cutting-edge research in more than 50 disciplines. The University of Toronto was founded in 1827 and has evolved into Canada’s leading institution of learning, discovery and knowledge creation. U of T is spread out across three campuses located in Mississauga, Scarborough and downtown Toronto (St. George). The institution was originally controlled by the Church of England and was the first university founded in the colony of “Upper Canada” structured as a collegiate system, much like prestigious universities in the U.K. Each of the seven colleges in the downtown campus has distinct history and traditions. The University of Toronto is best known for its pioneering achievements including Canada’s first academic publishing house, Sir Frederick Banking’s discovery of insulin, and the first Canadian university to reach more than C$1 billion in endowment. Notable alumni include five Canadian prime ministers, writer Margaret Atwood, and 10 Nobel laureates. The University of Toronto is committed to being an internationally significant research university. Currently, U of T holds the ranking of the top university in Canada and 21st globally. The University of Southern Denmark welcomed the first students onto the campus in Odense in September 1966, and things have been developing by leaps and bounds ever since. The university now has five faculties with more than 32,000 students, almost 20% of whom are from abroad, and more than 4,000 employees distributed across its main campus in Odense and regional campuses in Slagelse, Kolding, Esbjerg and Sønderborg. Several international studies document that the university conducts world-class research and is one of the top fifty young universities in the world. In the heart of Paris, in the compound of the Military School founded on January 18, 1751 by Louis XV "to maintain and educate in the war five hundred young gentlemen", the War School prepares the best senior officers of the French armies, friends and allies to become the military leaders of tomorrow. Its values ​​of excellence make it a reference and a vector of influence from France to around the world. Heir to several organizations dedicated to higher military education, the École de guerre moderne was founded in 1993 under the name of the Joint Defense College, replacing the superior schools of war of each of the armies at the École supérieure de guerre. It took its name from War School in 2011. 150 to 200 senior officers join it every year after a particularly selective process. They all successfully assumed operational and command responsibilities within their home army during the first part of their career. From the Army, Navy, Air Force, various directions or services or the National Gendarmerie, they are rich in expertise and experience of a fortnight years at the head of their units and in the theaters of operations (Afghanistan, Libya, Sahel, Central African Republic, Middle East ...) where they were deployed. They are joined by 80 to 100 foreign trainees, who represent about a third of the staff. More than 60 countries choose each year to entrust the training of their senior officers to France. Since 1993, more than 2,500 foreign officers representing 126 nationalities have attended school at the War School. Open to the joint, interministerial and international, multidisciplinary and relying on many partnerships, the training received is representative of the "global approach", which prevails today in the resolution of crises and in the commitments in operation, in an increasingly complex world, where the barriers of time and space fade a little more each day. The War School develops a project focused on each officer, which considers his past experiences and future career directions, and positions him as an actor in his training. It offers these officers to reinforce their general military culture to decipher the keys of the world around them, it tries on the methods, which make it possible to value their knowledge, and it puts emphasis on the oral and written expression to increase their ability to convince. It prepares well-qualified leadership leaders who will command the regiments, ships or air bases of our armies tomorrow. In 1945, Sciences Po was partially nationalised and divided into the Fondation Nationale des Sciences Politiques (FNSP) and the Institut d’Etudes Politiques (IEP) (lien vers la page gouvernance). Sciences Po nevertheless retained its independence. This autonomy, repeatedly confirmed by national authorities, has made Sciences Po a laboratory of innovative institutional, educational and scientific ideas. Although it hosted foreign students as of the 1920s and 1930s, Sciences Po became a pioneer in international openness in 1999, instituting a five-year degree programme inspired by the Bachelor-Master-PhD model. Having included in its programme a requirement that students spend a year abroad, it forged partnerships with prestigious universities throughout the world. Also a pioneer in terms of equal opportunity initiatives, in 2001 Sciences Po introduced special procedures for entrance examinations: the Equal Opportunity and Diversity Programme. This programme contributed to increasing social diversity in the student body. Finally, in the late 2000s Sciences Po proved its ability to reinvent its approach to education and research, investing in pioneering fields of political science, international relations, sociology of organisations and post-1945 history, as well as political arts, scientific humanities and digital studies. Always true to its original mission of promoting dialogue among scientific and applied knowledge, Sciences Po has maintained its unique identity as a prestigious institution of higher learning for the elite and a world-class research university in the field of social sciences. The University of Macedonia (UoM; Greek Πανεπιστήμιο Μακεδονίας (Πα.Μακ. ), Panepistímio Makedonías (Pa.Mak.)) is located in Thessaloniki, Macedonia, Greece. It is the second largest university in the city (following the Aristotle University of Thessaloniki). It currently consists of eight departments which deal mainly with social, political and economic sciences. The Graduate School of Industrial Studies was established in 1948 by decree No 800/1948 under the surveillance of the Ministry of Education. In 1958 it was renamed to "Graduate School of Industrial Studies in Thessaloniki and became equivalent with all the other Universities in Greece. During that period, the curriculum changed from a three-year program to a four-year program. From the Academic year 1971/1972 the Graduate School of Industrial Studies had two departments the Department of Economics and the Department of Business Administration. 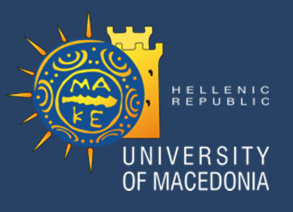 In 1990 the Graduate School of Industrial Studies in Thessaloniki was renamed to University of Macedonia Economic and Social Sciences. The University of Bologna is considered to be the oldest university in the Western world. Its history is intertwined with that of the great names of science and literature. And it is still a keystone and a point of reference for European culture. In the 2016/17 academic year over 85,000 students are enrolled at the University of Bologna, making it the most popular university in Italy. In 2018, CENSIS has awarded the University of Bologna the 1st place in its academic ranking of Italian mega-universities (>40,000 students) for the ninth year in a row, recording its primacy in the fields of internationalization and academic structures. Jagiellonian University in Krakow is the oldest higher education institution in Poland and one of the oldest in Europe. It was founded in 1364 by the Polish king Casimir the Great. Today, the University comprises 16 Faculties, where nearly four thousand academic staff conduct research and provide education to over forty thousand students, within the framework of more than 80 different fields of study. The eminent researchers and state-of-the-art infrastructure make the JU one of the leading Polish scientific institutions, collaborating with major academic centres from all over the world. The Department of National Security was established on the 1st of January 2015 as part of the Institute of Political Sciences and International Relations of the Jagiellonian University. It is composed by scholars and practitioners with an extensive knowledge and expertise in national and international security, regional conflicts, strategic studies and crisis management. The Department has conducted a number of activities concerning research, publications, teaching and promotion of knowledge. It has been responsible for BA and MA programs in National Security and course modules in International Relations and Political Studies referring to security matters. The members of the Department have conducted research in the areas of security studies and international relations. The Department has published an academic peer-reviewed journal: The Jagiellonian Security Review. Also, the faculty and students contribute to online publication series: Analyses and Commentaries available at the Department’s website. The Polish Naval Academy (PNA) "Heroes of Westerplatte" is a naval university supervised by the Ministry of National Defense of the Republic of Poland, with the history, uninterrupted by World War II, dating back to 1922. At present the PNA provides education for officer-cadets, commissioned officers and civilian students at first and second cycles of study (undergraduate and graduate), as well as doctoral studies. It also offers opportunities for professional development at specialized courses and postgraduate programs. In accordance with international agreements the PNA trains officers for naval forces of countries in Europe, North Africa, the Middle and Far East. International exchange significantly contributes to the rise in qualifications of the PNA staff. It also allows the students to attend lectures given by best specialists from leading scientific centers of the world. The PNA is a naval university of a settled position in the Polish higher educational system. The mission of the PNA is to create conditions necessary to provide security for the Poland at sea through disseminating knowledge, conducting research work, educating and developing officer-cadets and civilian students, as well as perfecting professional military, and civilian workers, in the administration and maritime industry. The Academy co-operates with technical and military Polish and European universities, enterprises and international organizations. The university offers both undergraduate and 28 post-graduate courses in the Polish and English language. The PNA offers courses which focus on practical skills and competence. The PNA students acquire both, practical and social skills with the aid of a broad range of simulators, training simulators, multimedia rooms, and dedicated training courses developed in collaboration with a career adviser and the Academic Career Office. The Academy constantly cultivates its rich military, scientific, and patriotic traditions, which are contained in the inscription AMOR PATRIAE SUPREMA LEX which hangs over the main place and uttered in the preamble MORZE, OJCZYZNA, OBOWIĄZEK (SEA, MOTHERLAND, DUTY). The Faculty of Social Sciences at the University of Ljubljana is well known for its interdisciplinary and internationally recognised study programmes and high quality teaching on all degree levels. The Faculty offers 11 undergraduate programmes, 12 master study programmes and interdisciplinary doctoral programme in humanities and social sciences. Defence studies are one of the programmes at the Faculty for more than 40 years. With more than 200 signed bilateral agreements within the Erasmus programme and 30 bilateral agreements with universities located outside of the EU, the Faculty is also one of the most recognised among foreign students. Social science research at the Faculty has been providing new insights on society and developing new knowledge for the past 51 years. There are 20 research centres with more than 170 active researchers within the framework of the Social Sciences Research Institute, globally active in all areas of social sciences. Research at the Institute is carried out within the framework of national and international research programmes, with intensive cooperation within the European Union research projects. The fields of research include among others also the political science research, international relations and defence. The Faculty regularly collaborates with domestic and foreign experts from companies and non-governmental organizations, professors and other specialists within the study process through guest lectures, practicums, projects, research, events, practical training and the recruitment of students. The University of Ljubljana is among 500 top universities according the Shanghai Academic Ranking World Universities. The Faculty of Social Sciences is among 300 best faculties in the field of political sciences. In the course of over seven centuries, the University of Madrid has provided invaluable contributions in the sciences, fine arts, and political leadership. In the year 1785, the University of Madrid became one of the first universities in the world to grant a Doctorate degree to a female student. By Royal Decree of 1857, the University of Madrid was the only institution in Spain authorized to grant doctorates throughout the Spanish Empire. Established in 1996, Sabanci University (SU) in Istanbul, Turkey ranks among the highly rated research institutions in Turkey. SU is consistently ranked among the top three universities in Turkey, and is currently ranked 44 in the Times Higher Education Young University Rankings. According to the Entrepreneurial and Innovative University Index of the Scientific and Technological Research Council of Turkey (TUBITAK), SU has been internationally recognized as one of the most innovative and research-oriented universities in Turkey. The University employs more than 700 staff members and teaches to 4100 undergraduate and 1100 graduate students. The research activities at SU aim to enrich educational programs while contributing to social and economic development at regional, national and international level. SU aspires to become an international reference point for innovation in education in research, adapting an interdisciplinary educational infrastructure at the institute. The mission is twofold: i) To develop internationally competent and confident individuals, enriched with the ability to reflect critically and independently, combined with a strong sense of social responsibility; and ii) To contribute to the development of science and technology on a global level, as well as disseminating the knowledge created to the benefit of the community. At the national level, SU has received the highest number of EU funded projects per faculty member, taking part in 20 FP6 projects, 53 FP7 projects including 37 Marie Curie Grants, 12 Cooperation Projects and 4 Capacities Projects. SU also has a commendable performance in the EU funded education programs, with 5 Jean Monnet European Modules, 3 Jean Monnet Chairs ad personam as well as a Jean Monnet Centre of Excellence. These European grants constitute about 15% of the SU’s total budget for research.Jean Monnet Center of Excellence for European Studies at SU is currently a leading research and teaching center for the study of the European integration in Turkey. The Jean Monnet (JM) Centre of Excellence is located within the Faculty of Arts and Social Sciences at SU. The Faculty of Arts and Social Sciences where the centre is located has PhD degree programs in Economics, Political Science and History as well as seven different post graduate programs, and master’s degree programs in Political Science, History, Economics, European Studies, Conflict Resolution and Analysis, Turkish Studies, and Gender Studies. The University of Bath received its Royal Charter in 1966. The Claverton Campus is one mile from the centre of the beautiful City of Bath, a World Heritage Site. International (non-UK) students account for a third of the student body and represent over 100 nationalities. In national rankings the university is currently placed 5th according to the Guardian, 11th in the Complete University Guide and 12th by the Times/Sunday Times. Internationally it is placed in the top 400 by the 2016 ARWU and has featured in the top 300 in the 2016, 2017 and 2018 THE World University Ranking. We have over 20,000 students and one of the most popular undergraduate courses offered is a joint Politics/IR/Economics degree in the Department of Politics Languages and International Studies, of which a number of our NATO debating team are studying.